Millsboro-Earlier today Delaware State Police received information on missing person Jesse Mitchell of Millsboro. Jesse Mitchell was last seen at a family member’s residence located in the 18000 block of Philips Hill Road, Millsboro on Sunday, April 24, 2011 at 8:00 a.m. and was believed to have walked away on his own. Mitchell was located yesterday and had apparently been staying at a Salisbury Maryland area shelter. 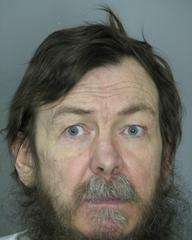 Mitchell who suffers from Dementia was taken into custody by Wicomico County Bureau of Investigations officers. Millsboro-Jesse Mitchell still has not been located and Delaware State Police are requesting anyone with information concerning his whereabouts to contact Troop 4 at 302-856-5850 or 911 immediately. Date of Occurrence: Sunday, April 24, 2011 8:00 a.m.
Millsboro-The Delaware State Police have issued a Gold Alert for a Missing Adult Jesse Mitchell-53 of Millsboro, Delaware. Jesse Mitchell was last seen at a family member’s residence located in the 18000 block of Philips Hill Road, Millsboro on Sunday, April 24, 2011 at 8:00 a.m. and is believed to have walked away. such that there is a concern for his welfare. Mitchell may be headed to the area of Laurel, Delaware where he grew up. Delaware State Police request if anyone has any information in reference to his whereabouts, or have observed Jesse Mitchell, to immediately contact 911.